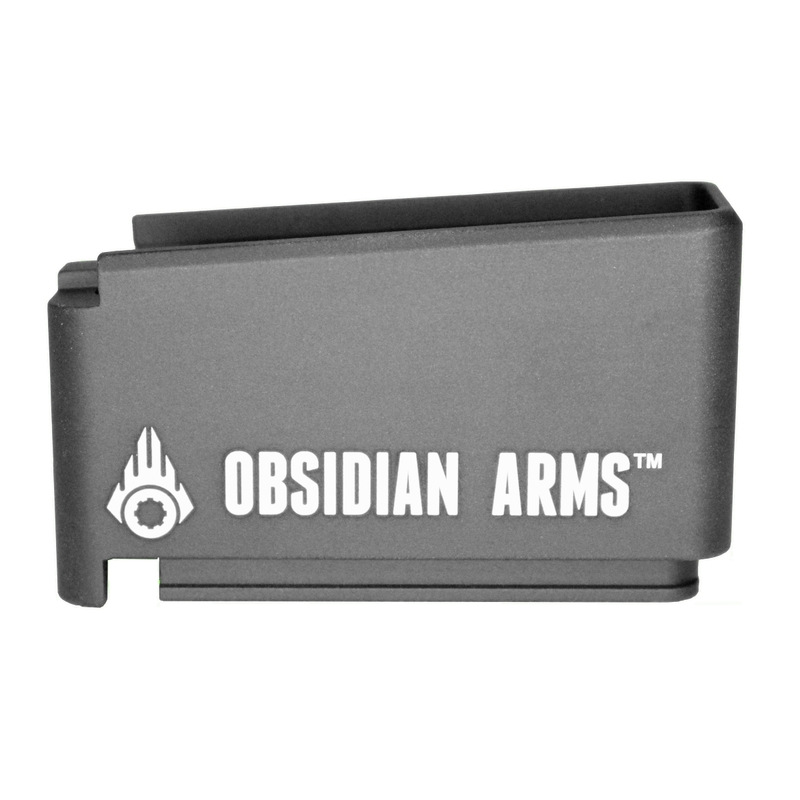 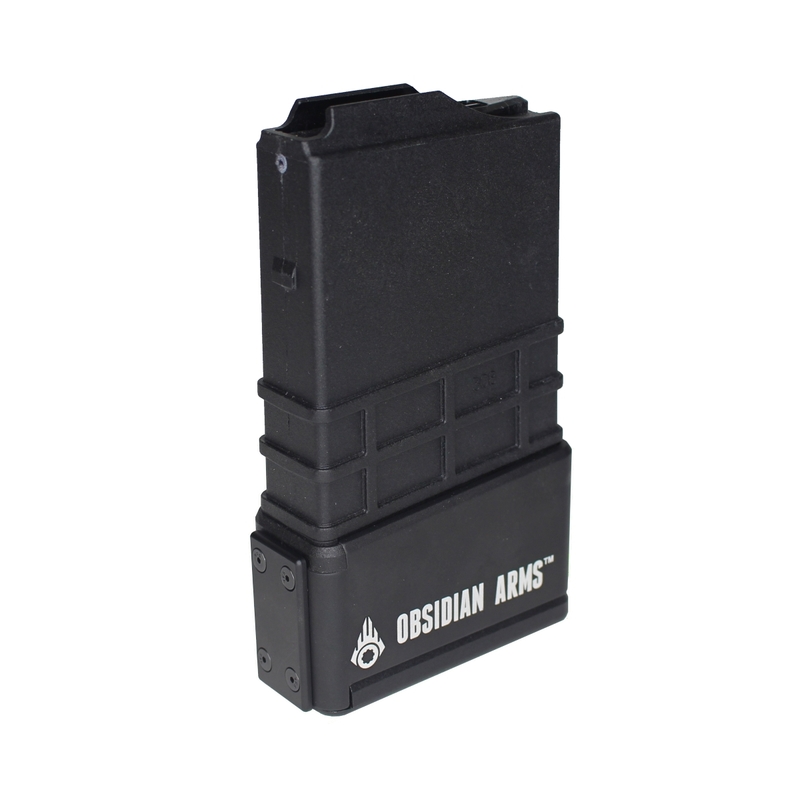 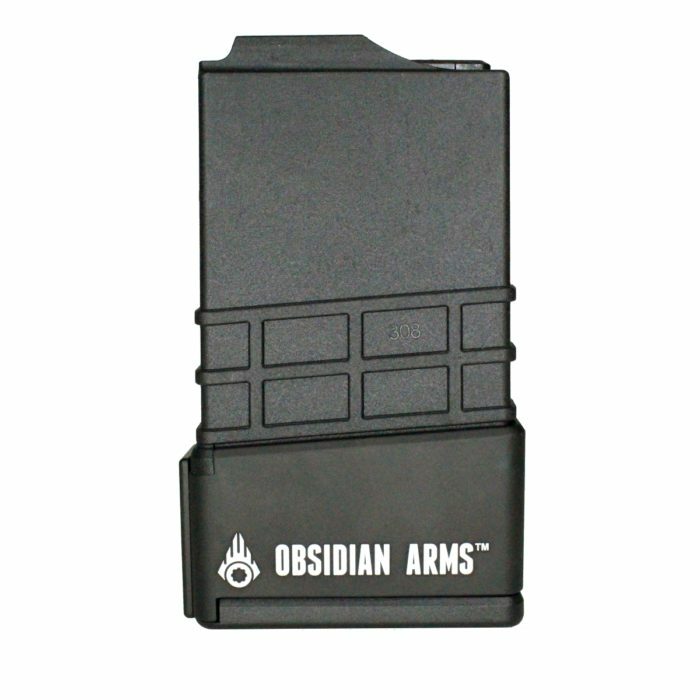 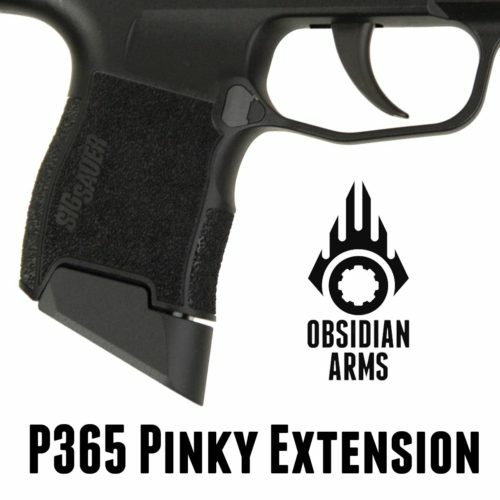 The Obsidian Arms +9 Extension for MDT 223 Polymer Magazines is made out of billet 6061 aluminum that has been hard coat anodized black for strength and durability. 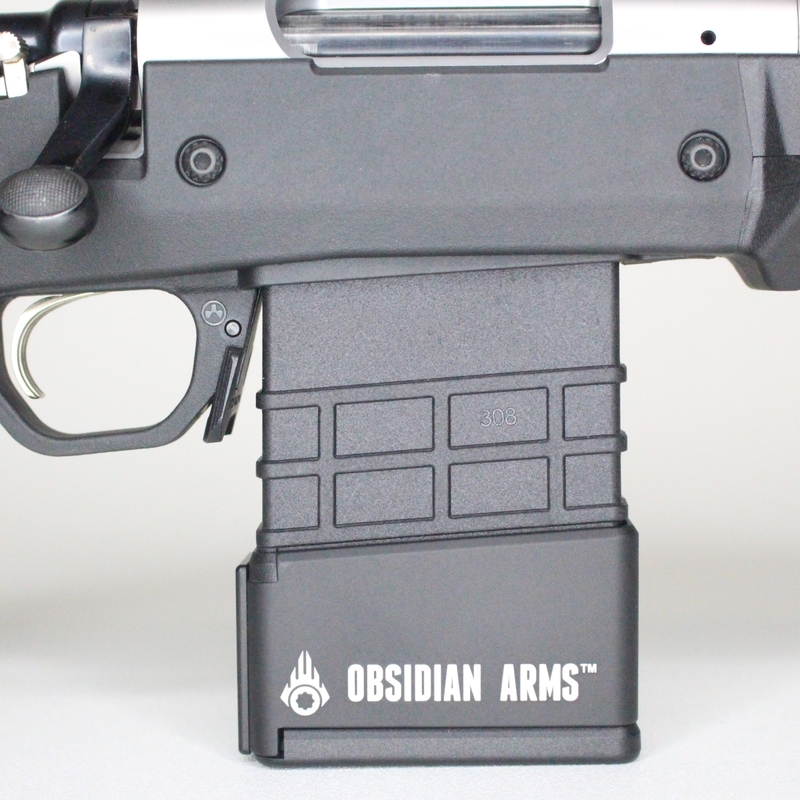 The extension utilizes the original spring and base plate of the magazine. 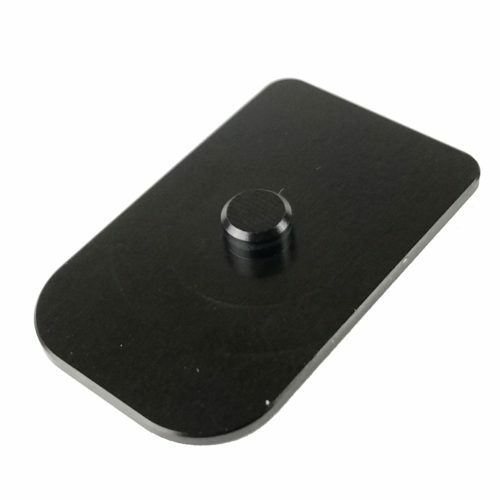 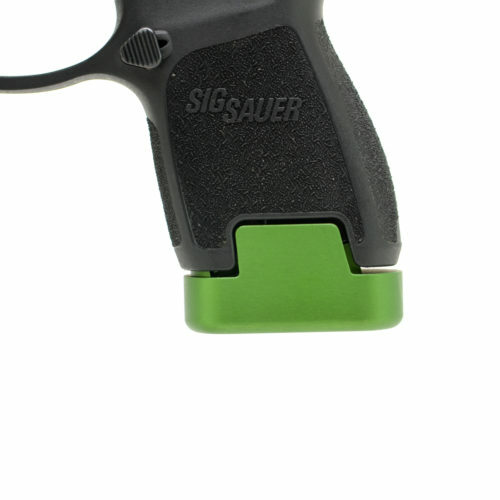 This design allows the user to disassemble the magazine for cleaning without having to bend the magazine spring in a way that it was not designed for and without the use of tools.